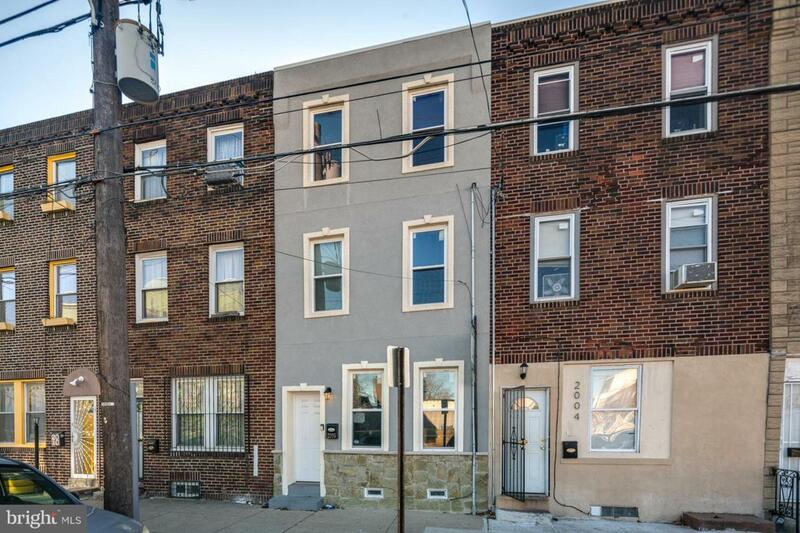 Three story rehab in a great Kensington location! Enter into an open floor plan with a large modern kitchen and tons of natural light. Beautiful hardwood floors throughout, large living/dining room, stainless steel appliances, granite countertops and subway tile backsplash. Behind the kitchen is a conveniently located laundry room with washer and dryer included in the sale. You can also access the large backyard from this room. The second floor has two large bedrooms and a modern tiled bathroom with tub/shower combo. Continue up another flight of stairs and you will find the large master suite! Spacious bedroom area, and en suite bathroom with oversized shower and double vanity. Pizza Brain, Cook and Shaker, Atlantis the Lost Bar, and Martha all nearby. 93 Walk score, nearby to the Huntingdon EL Station, and 25 minute bike ride to center city.